Suicide.org is a NON-PROFIT organization which runs several important websites in addition to Suicide.org. We do this in order to help and honor as many people as possible, in as many ways as possible, and to further our mission of suicide prevention, awareness, and support. Listed below are the current websites that are being operated by Kevin Caruso and Suicide.org. Please visit all of these sites because they are extremely important and offer help, hope, and comfort for yourself and others. And please tell others about them. Many additional Suicide.org sites are in development and their launches will be announced here. Haiti Quake.com was acquired shortly after the devastating 7.0-magnitude earthquake struck Haiti in January 2010. We have been assisting individuals who are suicidal, helping locate missing people, assisting survivors in every way we can, and educating the public about the tragedy. Our work has just begun to help those in need, and we will continue to fight for them for the rest of their lives. May God bless those who survived the earhtquake, and may He embrace those who did not. HurricaneKatrina.com was acquired after KatrinaHelp.com and is being used to further assist Hurricane Katrina survivors in every way possible, both online and offline; honor those who died because of Katrina; and educate the public about the disaster. We continue tol fight to improve the treatment of Hurricane Katrina survivors, and to assist those who are suicidal. To all of the survivors of Hurricane Katrina – God bless you. I love you. And I will never stop fighting for you. Katrina Help.com was launched on September 2, 2005 -- a few days after Hurricane Katrina made landfall on August 29, 2005. The site follows the model of Tsunamis.com and maintains the objectives of assisting the survivors of Hurricane Katrina, honoring those who died in the hurricane, and educating the public about the disaster. Numerous resources are available on the site. The site is permanent, and will assist Hurricane Katrina survivors for the rest of their lives. Tsunamis.com is an extensive site that was launched shortly after the Asian Tsunami disaster on December 26, 2004; objectives included assisting the tsunami survivors; honoring those who died in the tsunami, and educating the public about the tsunami. The site raised a small fortune in donations for tsunami survivors, yet all donations were sent directly to the tsunami charities, not to Tsunamis.com. Extensive work was also done to assist families in locating their missing loved ones. The site is permanent, and will assist tsunami survivors for the rest of their lives. 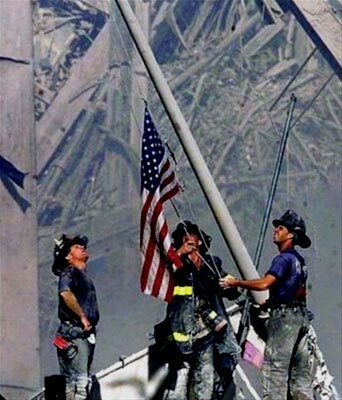 America 911.com was launched to remember and honor those we lost on September 11, 2001; to honor and assist the survivors of 911; to honor the heroes of 911; and to educate the public about 911. All of the angels who we lost on 911 are listed with great honor. And there are numerous articles, pictures, and information designed to educate the public about 911. The slogan of the site is, "We Will Never Forget 911." And, indeed we will never forget. OklahomaCityBombing.com was launched to remember and honor those we lost in the April 19, 1995 bombing; to honor and assist the survivors; to honor the heroes of the Oklahoma City Bombing; and to educate the public about the Oklahoma City Bombing. The 168 angels who lost their lives are listed with great honor, and there is a special section honoring and remembering the 19 children who died in the bombing. We will never forget what happened. And we will never forget those who died and those who were affected by the bombing. VirginiaTechMassacre.com was launched shortly after the horrible shootings at Virginia Tech on April 16, 2007, to honor those who died, help those who survived, and educate the public about the tragedy. The 32 angels who lost their lives that day are listed with great honor. We will never forget what happened day. We will always honor those who died. And we will always fight for those who survived. The Pakistan Quake.com was launched shortly after the October 8, 2005, earthquake in Kashmir, Pakistan. The earthquake was one of the deadliest in recorded history, with well over 80,000 deaths. Additionally, over 100,000 people were injured and over 3 million people became homeless. The Pakistan Quake.com is working to raise money for survivors, assist survivors, and educate the public about the devastating earthquake. The site is permanent, and will assist the earthquake survivors for the rest of their lives. Vietnam Memorial.com is the online counterpart to the Vietnam Memorial Wall in Washington, D.C.
Vietnam Memorial.com was launched to remember and honor our 58,000+ heroes who died in Vietnam; to support and honor the family members of our Vietnam heroes; and to support and honor our hero Vietnam War veterans. The 58,000+ heroes who died in Vietnam are listed with great honor and great respect on the site. We will always remember and honor these heroes, for they are among the greatest war heroes in the history of America. Our hero Vietnam War veterans were in the forefront of our minds as this site was under development, because they are all heroes and deserve a peaceful and beautiful online memorial to complement the Vietnam Memorial Wall in Washington, D.C.
We are extremely proud of our Vietnam War veterans. They are amazing people, and are among the greatest military heroes in the history of America. Military Heroes.com was launched with the primary objective of honoring our fallen heroes. And the current focus is adding memorials for heroes who died in Iraq. Suicide.org strongly supports our military personnel, and is deeply saddened with each military death. We will always honor our fallen military heroes. And we pray everyday for the safety of those in combat. Firefighter Heroes.com honors our fallen firefighters. A long list of these heroes is in the "Fallen Firefighter Heroes" section. There also is a tribute to Steven Rucker, one of the greatest firefighter heroes in the history of America. Lastly, a prayer room allows visitors to offer prayers for our firefighter heroes. We will always honor our firefighter heroes. God bless all of our firefighters. Self Injury Help.com was launched to help those who self-injure, encourage others to get help for those who self-injure, and to educate the public about self-injury. Sections include: "What is Self-Injury," "Why do people Self-Injure," "Symptoms of Self-Injury," "Self-Injury and Suicide," and "How to Get Help." Self-injury is much more common than most people think, and it can be difficult to detect because those who self-injure take great measures to hide their cuts and scars. Self-injury is particularly common among teen girls. Eating Disorder Help.com was launched to help those with eating disorders and to educate the public about the major types of eating disorders. The eating disorders that are covered are: anorexia, bulimia, and binge eating disorder. General information is given for each eating disorder, which includes a long list of symptoms and medical complications. Every page of the site encourages those with eating disorders to get help. And there is a section entitled "get help." Eating disorders can be very serious, and can result in the death of the individual with the disorder, so a sense of urgency for getting help is emphasized throughout the site. Alcoholism Info.com was launched to help those with alcoholism, and to provide information to the public about alcoholism. One in 13 Americans abuse alcohol or are an alcoholic; so the problem is quite prevalent. Sections include information about what alcoholism is; alcoholism symptoms, causes, effects, and treatments; and how to get help. Erase Racism.com was launched to help erase the ignorance, intolerance, and hate that causes racism. Information is provided for individuals and communities to launch efforts to erase racism. Suicide.org also coordinates "End Racism" activities and events. Grief and Loss.com was launched to help individuals who have lost a loved one or a pet. Sections include: "What to Do," "Five Stages of Grief," "Pet Loss," "Coping With Depression," and "Getting Help and Support." There is also a prayer room. Suicide.org is the is the largest suicide prevention, awareness, and support site on the Internet and is home base for our nonprofit organization. Suicide prevention, awareness, and support is connected with virtually every program that Suicide.org launches, and thus we are firmly committed to doing everything possible to prevent suicide, assist suicide survivors, and educate the public about suicide. The extensive resources on Suicide.org include a free suicide prevention program, a free anti-bullying guide, extensive listings of suicide hotlines, extensive listings of suicide support groups, and innumerable articles.